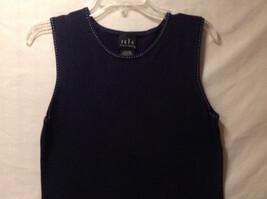 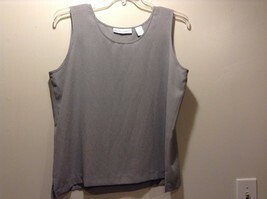 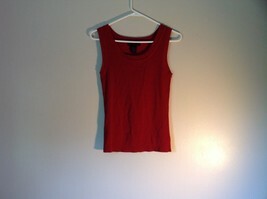 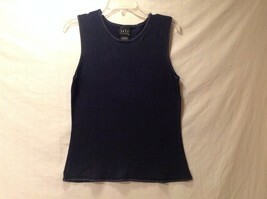 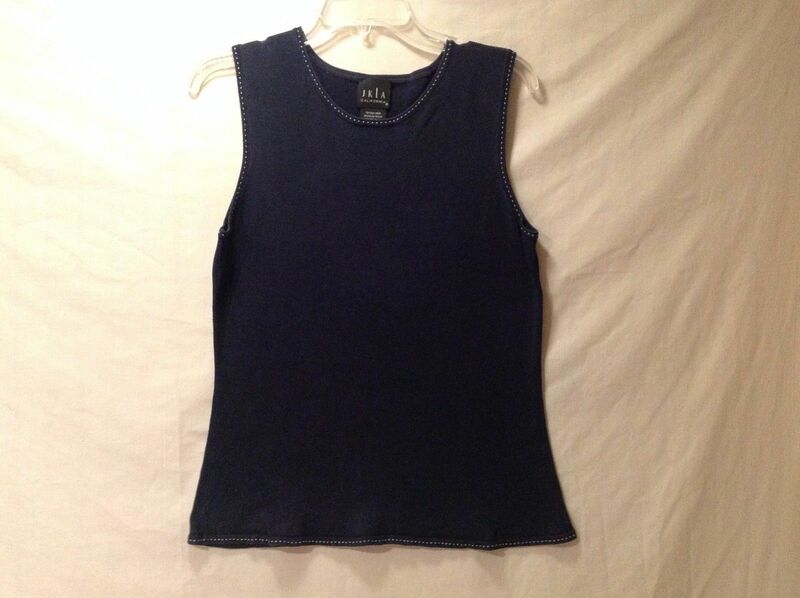 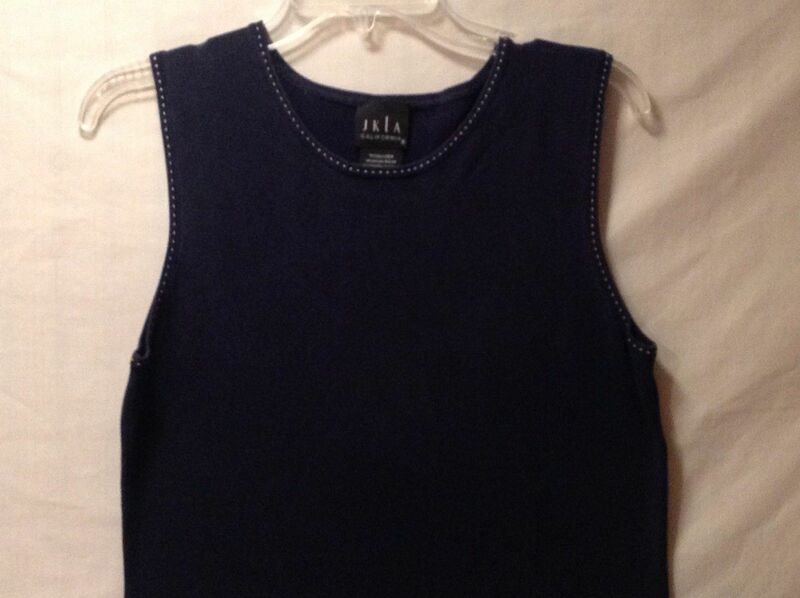 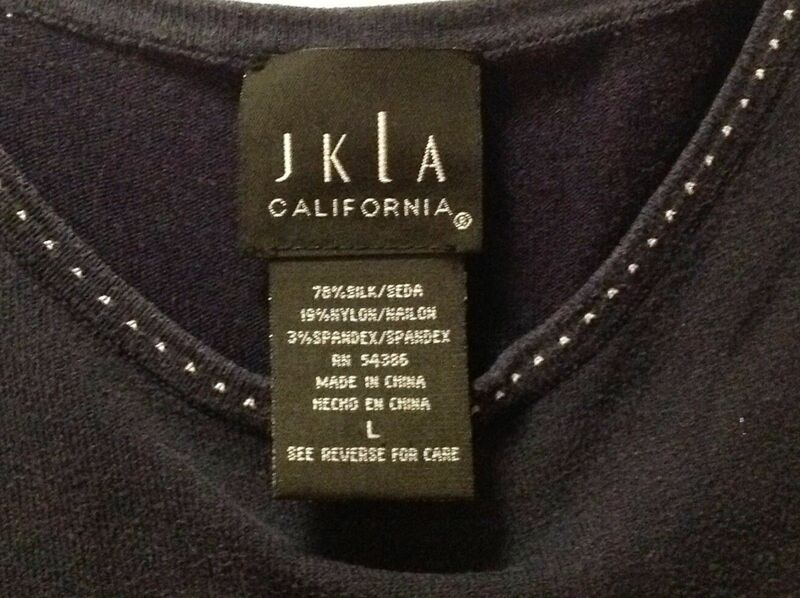 This is a great used condition women's JKLA California sleeveless navy blue tank top. 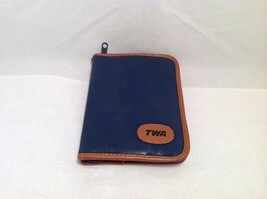 It is a size large and features 78% silk, 19% nylon, and 3% spandex. 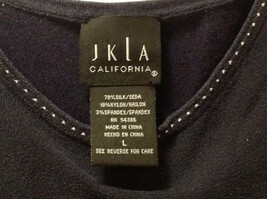 It is super soft! 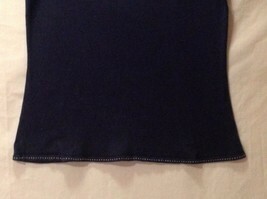 Shoulder seam to seam 14.5"